The best thing about tacos? You can fill them with anything -- beef, chicken, pork, fish, even potatoes! This particular taco is stuffed with the spiciest ingredient imaginable… a walking, talking, charming child of your choice. 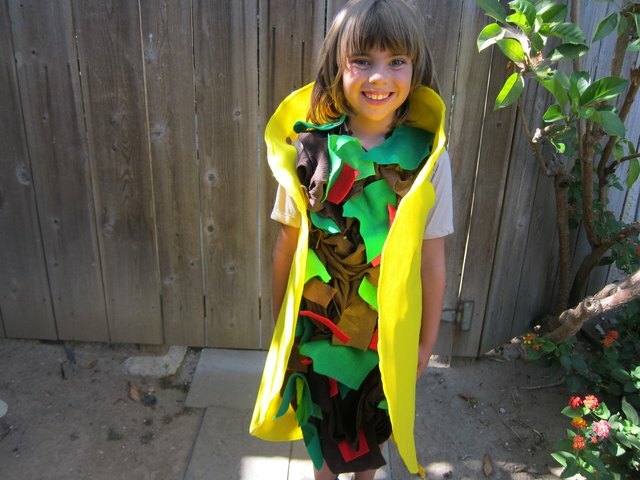 You can't eat it, of course, but Halloween costumes don't get much more delectable. Follow these easy steps and, I promise, you won't even get a stomach ache afterward. 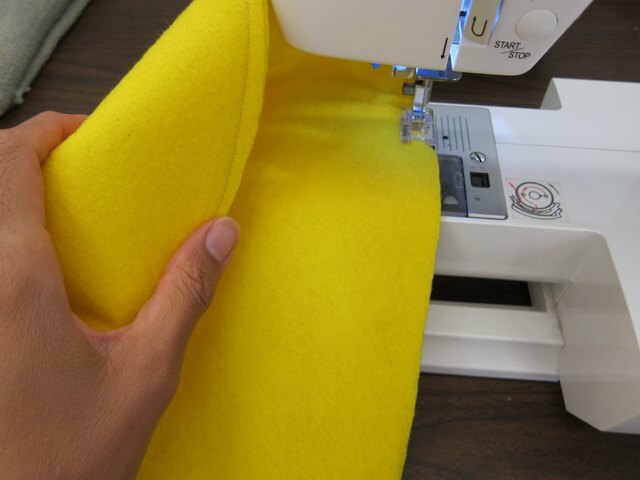 Fold the 3 yards of yellow fabric in half, and then fold the double-layered fabric in half. Using a disappearing ink pen, draw a semicircle along the opposite side of the fold. Cut out the traced semicircle from the folded felt. 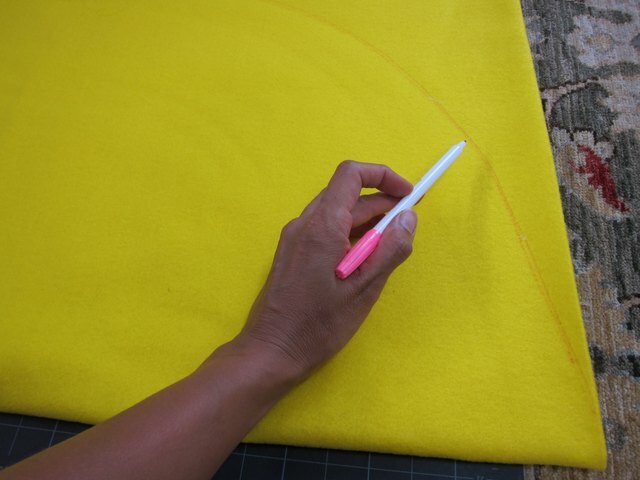 When opened, this will be a circle comprised of two layers of felt. Sew a 1/4-inch seam around the whole circle. Wrap the child in the felt circle as though they are putting on a jacket. Before cutting the arm holes, mark where to cut arm holes with the disappearing ink pen. 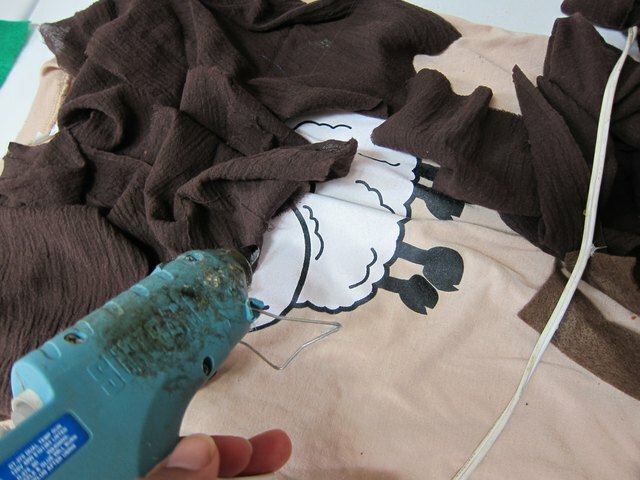 Add brown gauze to the front of the T-shirt in a crinkly fashion using hot glue. Be strategic about where you apply the glue to ensure the T-shirt doesn't show. Place a scrap of cardboard inside the T-shirt prior to hot gluing to make sure you don't glue the front of the T-shirt to the back. 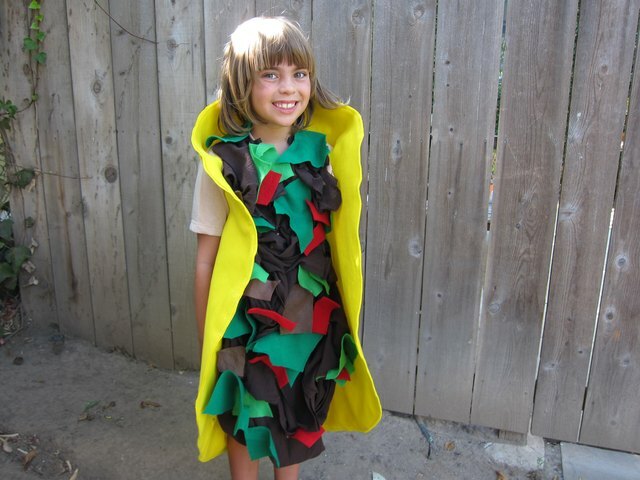 Add longer pieces of dark brown gauze to the bottom of the T-shirt to make sure the taco costume looks like it's filled with meat. 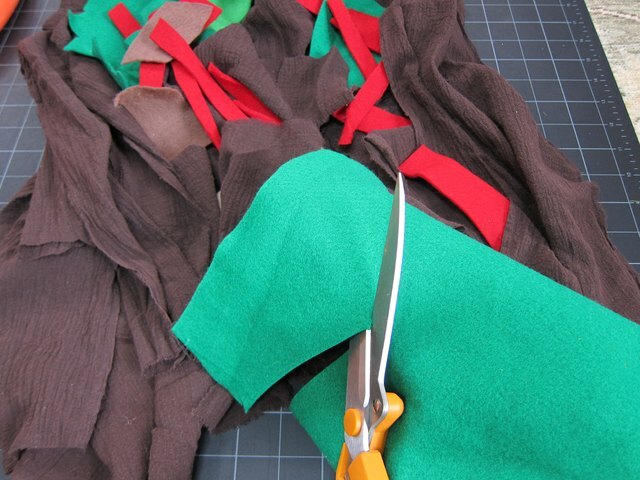 Cut up green and red felt in non-uniform strips. Then, hot glue them randomly amongst the brown fabric and any visible areas of the T-shirt. Have the child put on the T-shirt and wear the taco shell jacket over it. Your costume is complete! Quick tutorial to create a dice costume with items that can be easily acquired or found already in the home. How to make a Madeline costume. Includes instructions for drafting a peter pan collar and making the yellow straw hat.